I’m a stickler about family breakfast on the weekends. I sometimes take it a little too far with my emotional attachment to consuming coffee and food as a group. But I think it’s fair: on most weekdays, Dan and I get up at different times and breakfast is eaten in a more utilitarian fashion. It’s true, I now have a little buddy to keep me company, so I technically get to have group breakfast most mornings during the week, but I still insist on it on at least once over the weekend. 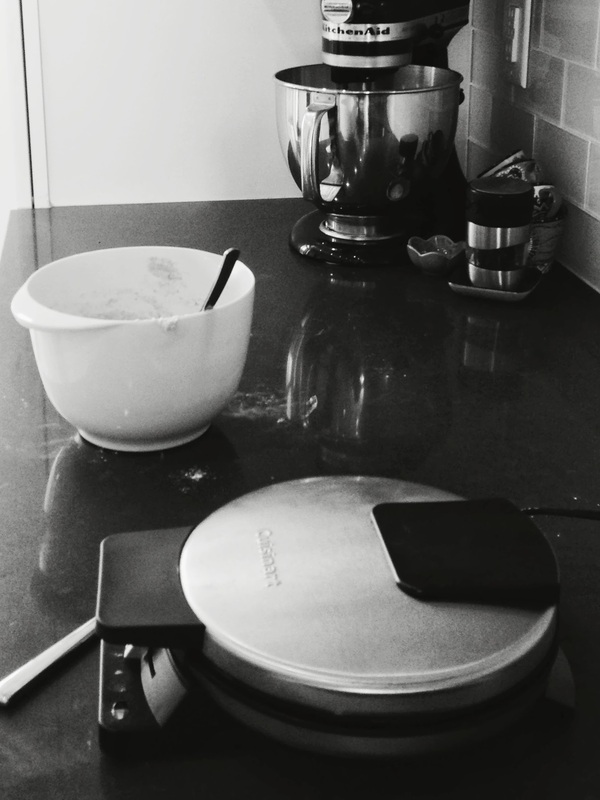 This morning, I had to make waffles. I love waffles. 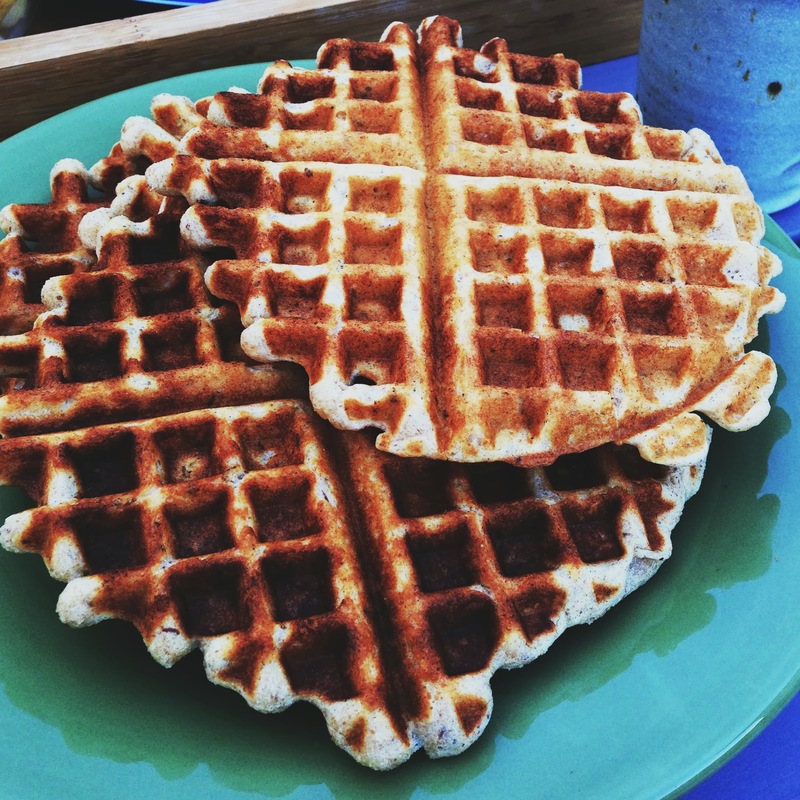 I have probably 20 fantastic waffle recipes stashed away on Pinterest. But the urgency this morning was because, as you may also have seen, several awesome food bloggers recently threw a virtual baby shower for Melissa of The Faux Martha. They all posted recipes for waffles on the same day, based on Melissa’s Whole Wheat Waffles recipe. It was too much goodness to take! Just my luck, I didn’t have all the ingredients for any of the waffle recipes. Blargh. But waffles would still be had. I combined a few recipes to come up with my own version of Melissa’s waffles. And you know what? They were quite good. Definitely a keeper. So I am writing down the propotions, that way I can force these on my family again for a mandated weekend breakfast. 1. Combine dry ingredients in a medium bowl. 2. Whisk together milk, coconut oil, egg, and almond extract in a measuring cup. 3. Pour liquid over the dry mixture and stir with a fork just until combined. 4. Preheat waffle maker to desired setting (higher for a crispier outside, lower if you like a softer waffle). Brush with oil if necessary. 5. Pour approximately 1/2c batter onto waffle iron and cook as desired. Keep waffles warm in oven at 200 degrees, but be sure to put them directly on the racks. If you stack them on a plate they’ll get soggy! 6. 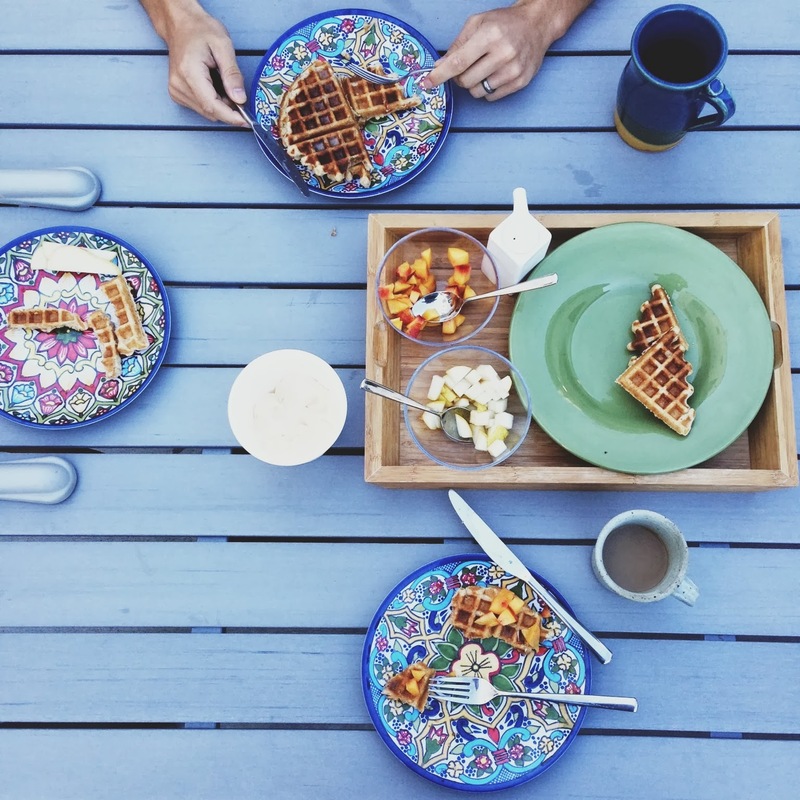 Enjoy all together at the table with fruit, maple syrup, butter, and coffee. Liked the photography on this post, good use of angles. 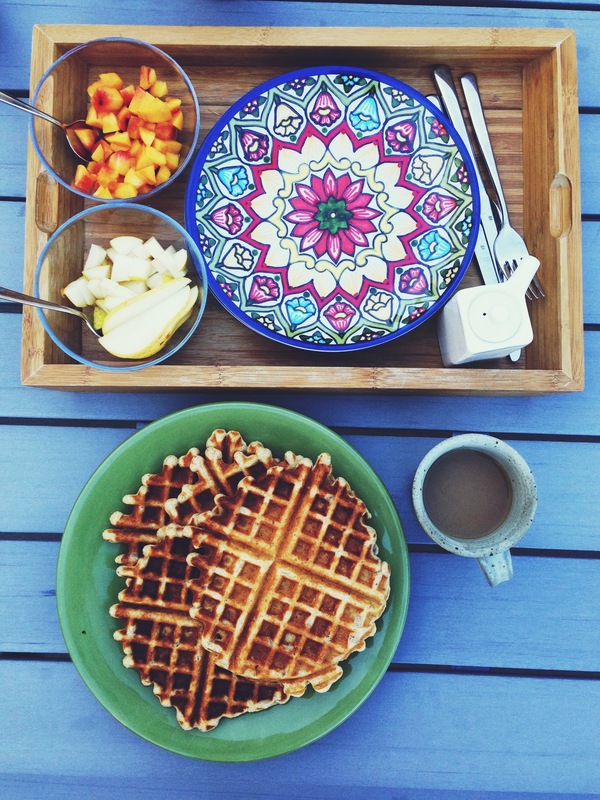 Oh, the waffles look good too…if one likes waffles! Love the Photos… loos amazing with those colorfull dishes..